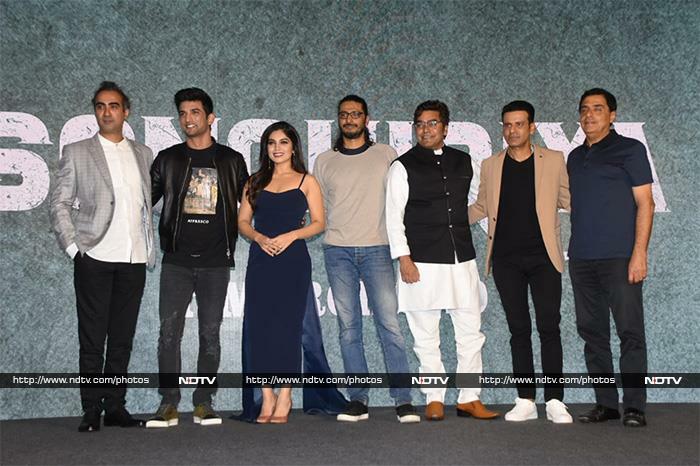 Film's lead actress Bhumi Pednekar opted for a blue dress for the launch event. 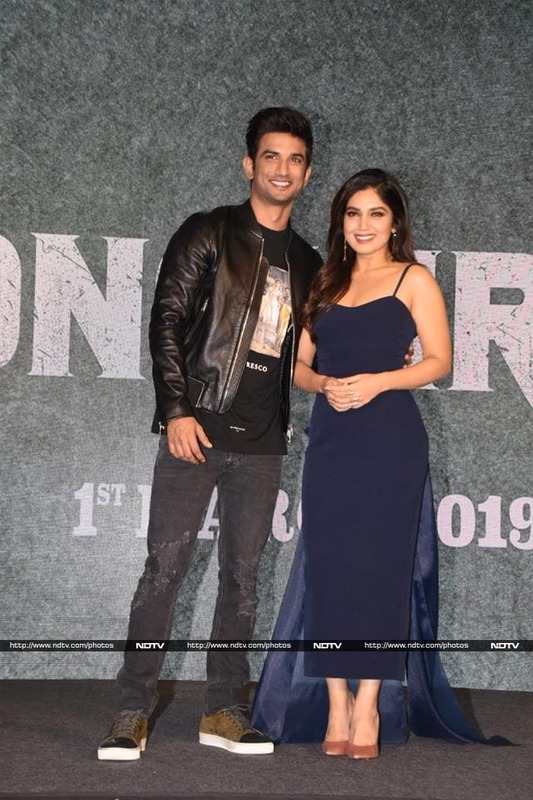 Bhumi Pednekar and Sushant Singh Rajput were all smiles at the trailer launch. Sonchiriya's lead actor Sushant Singh Rajput happily posed for the shutterbugs. We also got a glimpse of Manoj Bajpayee at the trailer launch. Ashutosh Rana was all smiles at the event.